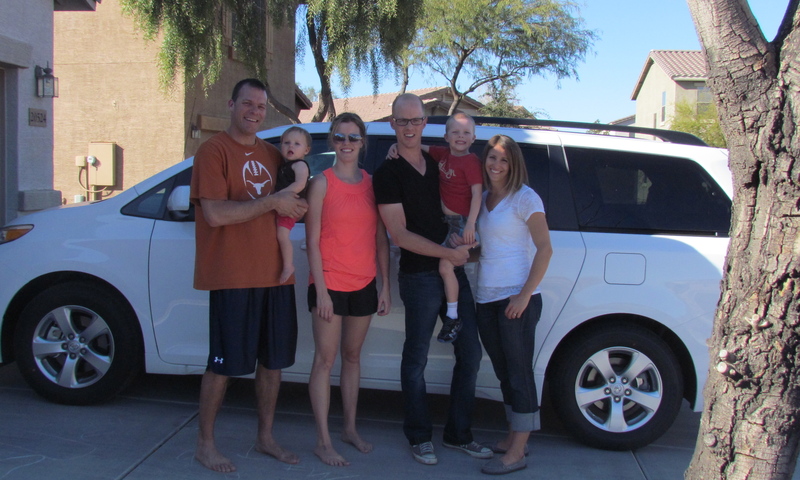 We just got back from a sun-filled, fun-filled week in Phoenix, visiting my snowbird parents. Our 8-hour delay at Chicago’s O’Hare airport aside, the trip was hassle-free; my husband and I got to relax, and my children got memory-making grandparent time. But vacationing now is much, much different than my 20-something single self remembers. I am the person with a bored, tired baby on a delayed flight. Smile at her and be kind to me. I once was you, and one day you may be me. I am the person who has to haul a stroller, carseats, and a diaper bag through the airport so that my children can be safe and comfortable. Hold the door for me. Let me get off the elevator. If my belongings look cumbersome and awkward to you, imagine how they feel to me. I am the person who has an inquisitive, energetic four-year-old. Model good manners. Exercise your patience. No one wants him to stop kicking your seat more than me. I am the person who takes more time to check-in, to get through security, and to board the plane. Realize that I am doing my best to move quickly. We all started out as children, learning the ways of the world. Help me teach them the ways. I am the person who stops to look at the dinosaur exhibit, the neon lights on the ceiling, and every water fountain in the airport. Go around me. Rush past me. But if you take the time, you may feel some of the joy that my children do in these ‘everyday’ things. Put yourself in my shoes. Put yourself in their shoes. And enjoy it. Enjoying the Phoenix sun with Uncle Ry and Auntie Al. This entry was posted in Parenthood and tagged airport, March break, parenting, patience, travelling, travelling with children, vacation. Bookmark the permalink. Love it! You nailed it, described perfectly! We had such a great week. Thanks Debbie! Yes, Drew was very happy to be with his Uncle Ryan!!! This reminds me of a young mom sitting across the aisle from me en route home Sunday. She was entertaining her 16 month old with the i-pad, he was sooo good, also had some cherrios and when he started to rub his eyes, she gave him a sippy cup, bundled him up and he fell asleep. I told her he was so good because his mom is so relaxed (reminded me of you and Chris and B&J when their kids were that age! Those i-pad have made travel so much easier, with little ones, right!? Sounds like you had a wonderful time in AZ!! Your Mom sent some very cute pics! (including Casey’s B’day) xo, Auntie C.
Thanks Auntie! Yes, we had a great trip! I’m glad you did too!